i landed at vaclac havel airport around 930 pm, hopped into bus #119 outside the terminal to nadrazi veleslavin and transferred to tramA heading to depo hostivai. 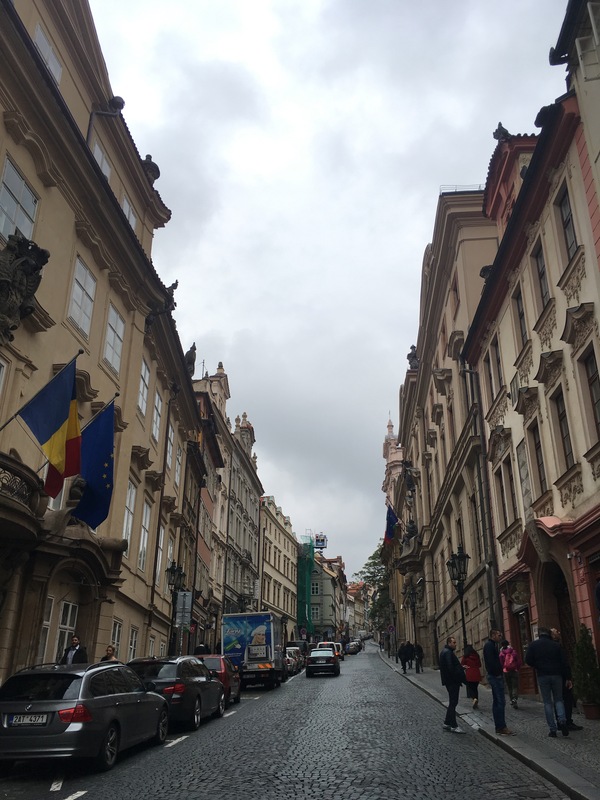 i relied on my google maps print out and unfortunately got off at an earlier stop and walked a good 20minutes through quiet mala strana cobblestone streets to reach my accommodation. that walk was quite panic-driven for me because here i was, in an unknown terrain, a woman solo-doling with my carryon and backpack and praying silently that i don’t run into any rowdy crowd of goons. or that i don’t get mugged. or worse, that i don’t get sexually assaulted. these are some legit fears you carry when you are a solo-female traveler walking under the moonlit skies, you believe you have a lot of things under control but there will also be times that you are lost and just trying to navigate. soon enough, through a lotta huffing and puffing, i reached the super chic hostel santini, settled into my room and breathed a sigh of relief. 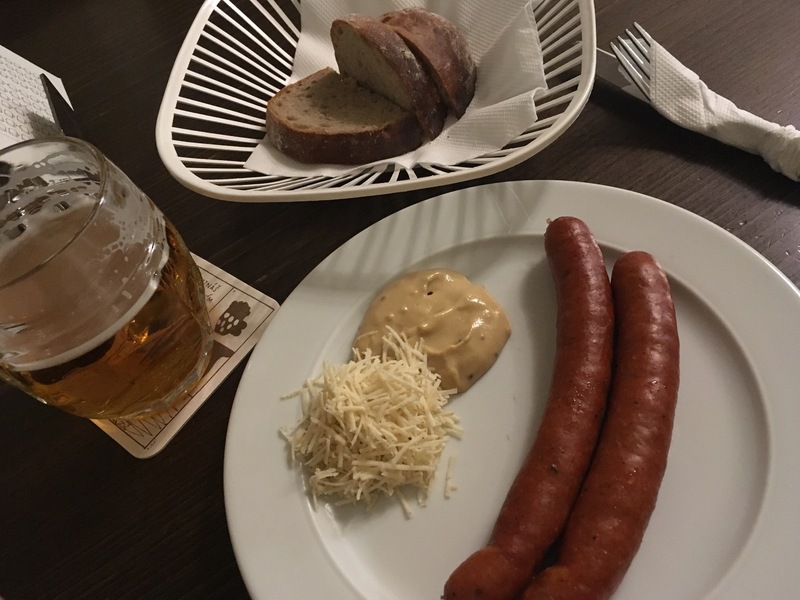 i pinched myself, freshened up and headed to the front desk to inquire about a local spot to grab some czech food and beer. 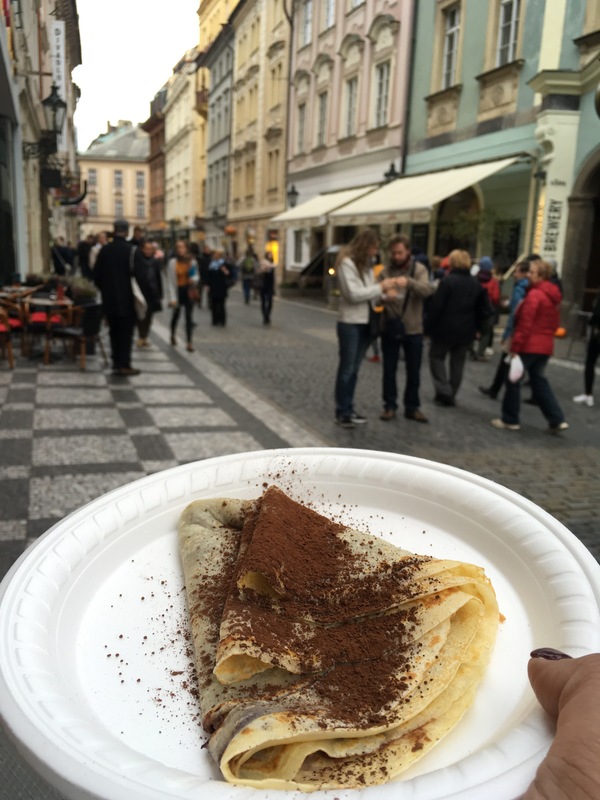 I was pointed to the direction of charles bridge, a good 7 minute walk and to try the food at Lokal. I refilled my bottle with water, stashed korunas into my wallet and headed out. this time around i had no fear although it was close to 1130 pm and here i was, walking alone again; but mala strana area is filled with late-night revelers, tourists, happy-drunkards just doing their thing and before i knew it, i was inside Lokal getting introduced to spicy sausage w/ horseradish & mustard + rye bread and the best beer i ever had, pilsner urquell. after that fulfilling meal and couple of pilsners, i walked to the iconic charles bridge. i wasn’t carrying my nikon D40 or my gopro so the pressure to take perfectly lit photos was non-existent and so i simply walked around, marveling at each statue as if they were created by God himself. 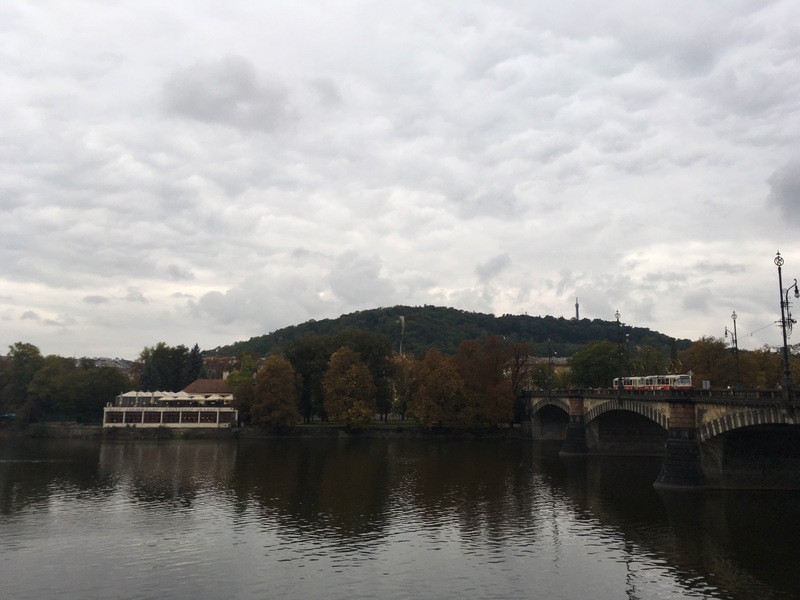 i was enveloped in this marvelous bubble, it was close to 1 am, there were couple of people walking around but at that moment looking out at the dark vltava river, i was completely free. 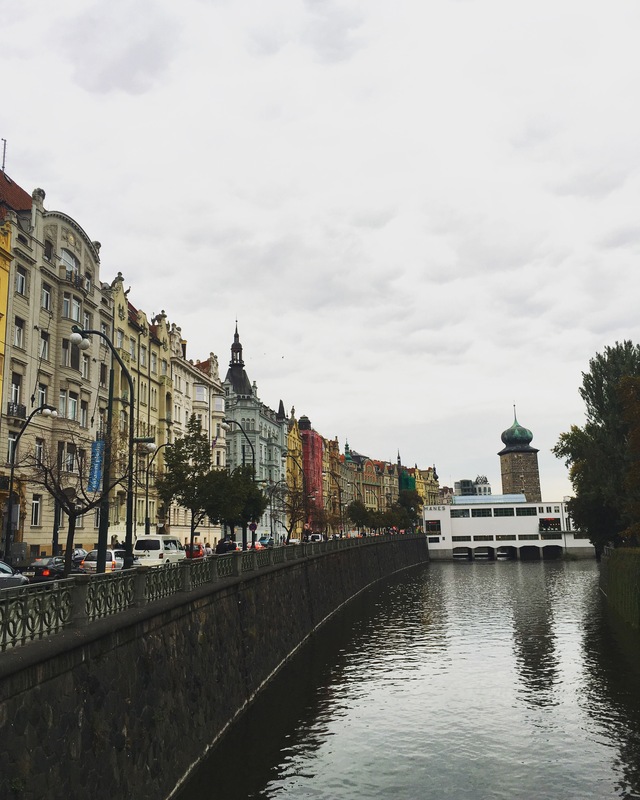 i had nowhere to go, nowhere to be, i was in prague and it felt like i was living a dream. so let’s say you hate walking, like you are a lazy fartbomb of some sort, in that scenario you have to visit prague. walking on the streets here are a joyous art on its own, like if i had a fitbit on, i may have walked close to 40k steps on my short stay here. 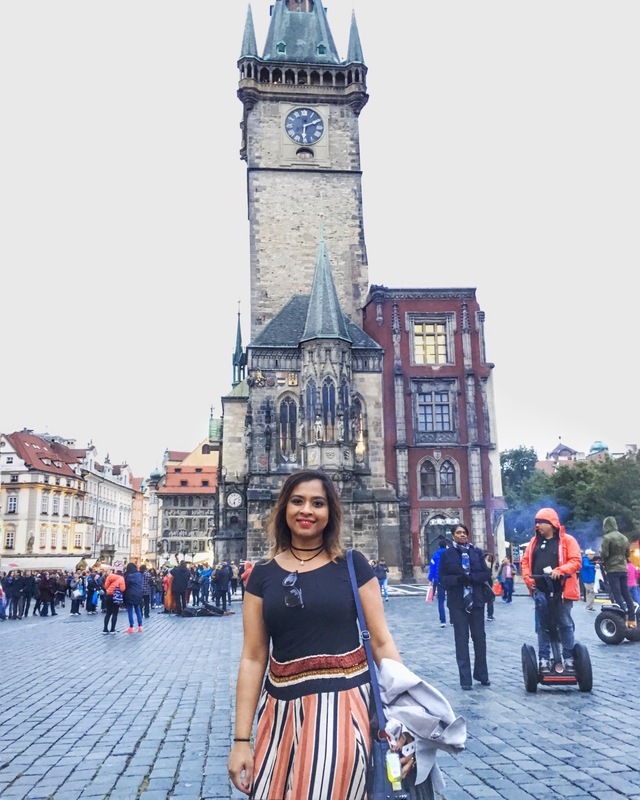 the air, the boutique stores around, the restaurants, the hustle and bustle of czechs and tourists alike are infectious and i was really so happy to be part of this city’s vibes. my first morning there, i chilled a while on charles bridge, walked through notorious karlova street and finally stood in the middle of old town square to gleefully take in the surrounding beauty and centuries old history of church of our lady before Tyn, the astronomical clock and jan hus memorial. i was kind of hustled into buying tickets for a hop-on-hop-off bus tour that takes you to important landmarks and you can hop off on any stop and wait another 20minutes or so to hop on to the next bus. 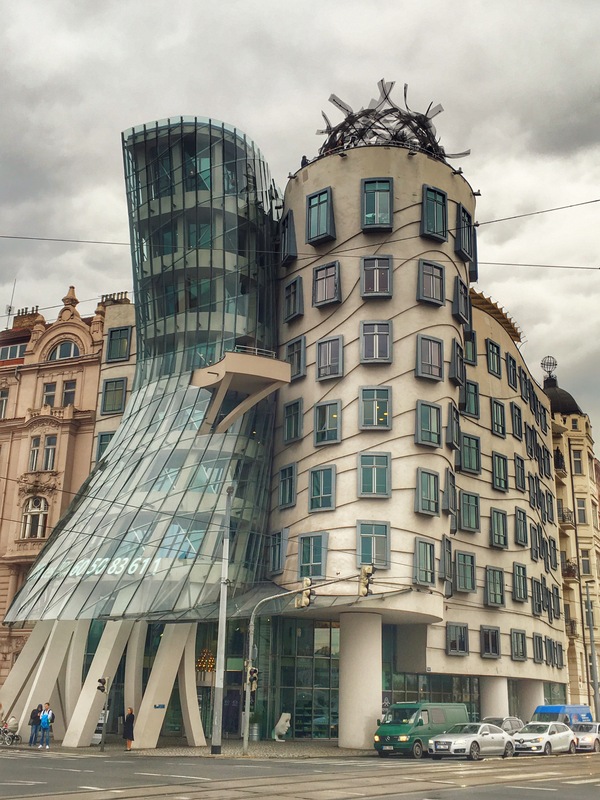 due to lack of time, i had to skip the stop on st. vitus cathedral and instead hopped off by most legii bridge and walked past rows of art nouveau buildings to check out the dancing house. this interestingly designed Frank Gehry architecture has been on my bucket list for years and this building was built on a site where americans mistakenly bombed during WWII. one cultural aspect that was particularly amusing to me was the unspoken traffic rules — czech drivers has a habit of speeding like unhinged maniacs but they also abruptly hard brake at crosswalks for pedestrians to pass. i would usually wait for speeding cars to pass before crossing but i also got yelled at by annoyed drivers motioning for me to walk, as if they are deeply offended that there’s even doubt of their cars hitting pedestrians. i’d end up hastily crossing streets with a smirk and a shake of my head, the cultural mores of different lands are so fascinating for my mind. also like many travelers, i’m very big on food. 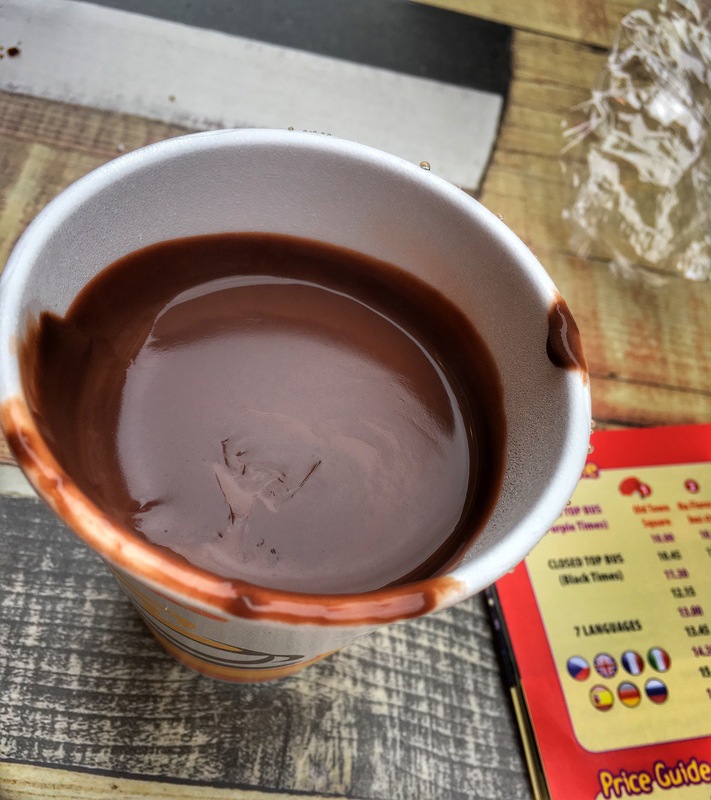 when it came to street food, this wonderful lady cooked up the perfect crepe with nutella and her partner made me a cup of hot chocolate and they both exuded so much warmth. 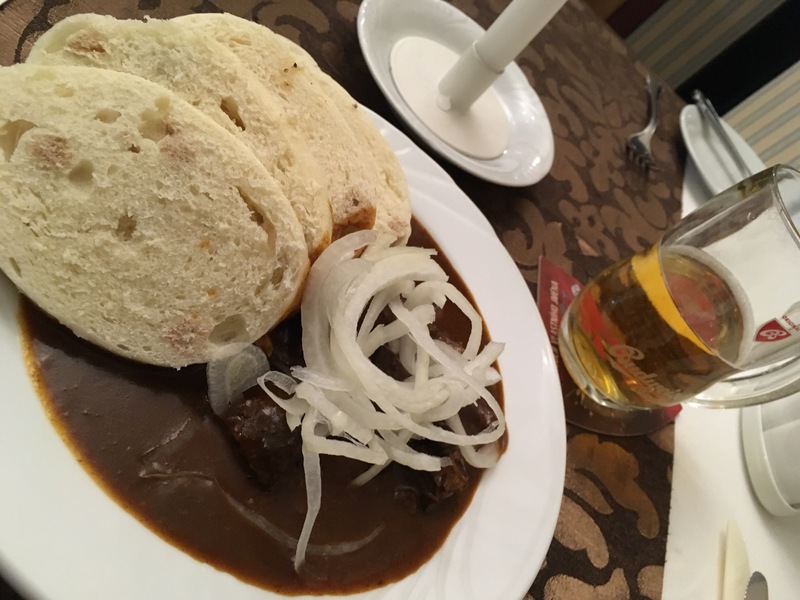 i also tried the staple dish beef ghoulash accompanied by couple of pints of the finest pilsners. the flavors on the ghoulash gravy were quite interesting and not something i’m used to yet my food soul was thoroughly satisfied. i also had the delightful pleasure to check out an outdoorsy market where vendors were selling handcrafted items like journals, tableware, woodwork etc and other vendors were selling olive oils, spices and jewelry. i was very excited to purchase a handcrafted keychain with a wolf carving, malachite stone jewelry for my sister and wooden spatulas for my kitchen. 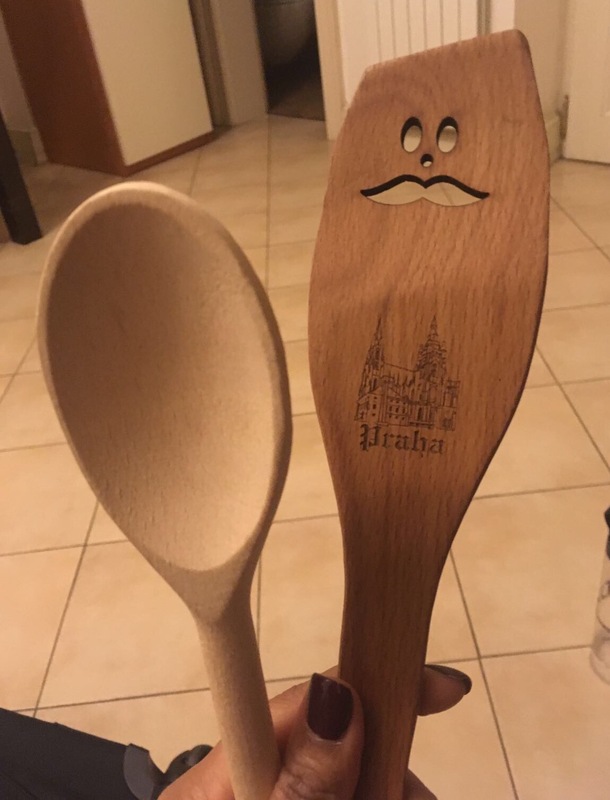 i swear, this cute faced spatula is my most favorite purchase from my euro trip. 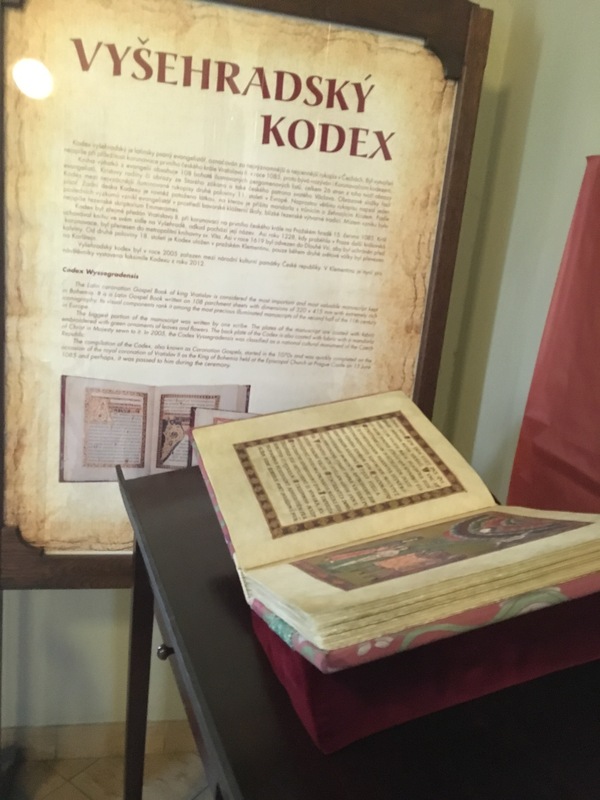 one of my main goals when planning my itinerary was to visit klementinum library, famed to be one of the oldest and most beautiful libraries in the world. 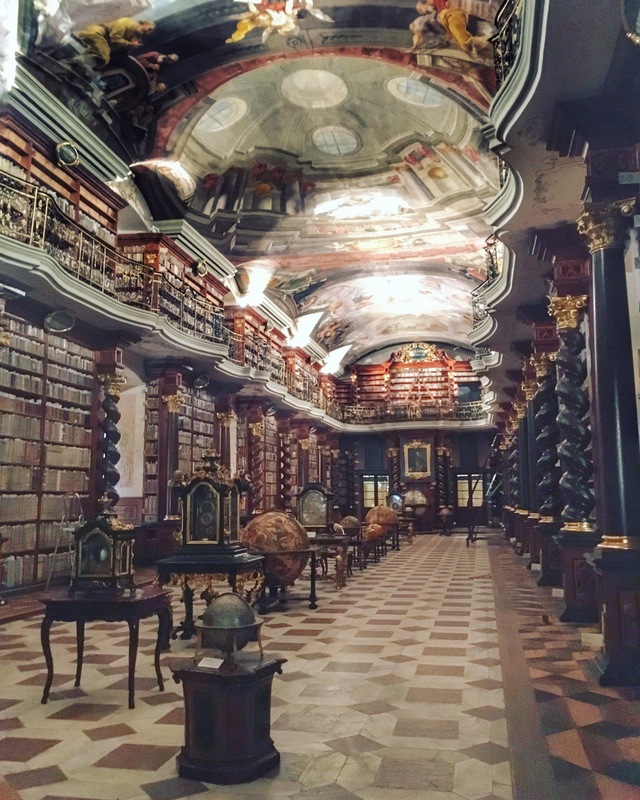 klementinum library is located on the ground floor of the astronomical clock so the tour started off with a visit to mirror chapel and a long steep climb through a circular, narrow staircase to the baroque library. we were enlightened with history lessons on jesuits, astronomers and later on had to take a final climb on a shaky, ancient wooden staircase to reach the roof of the astronomical clock where we were hit with cold burst of strong winds along with magical panoramic views of the city. with a view like this, who needs a postcard? 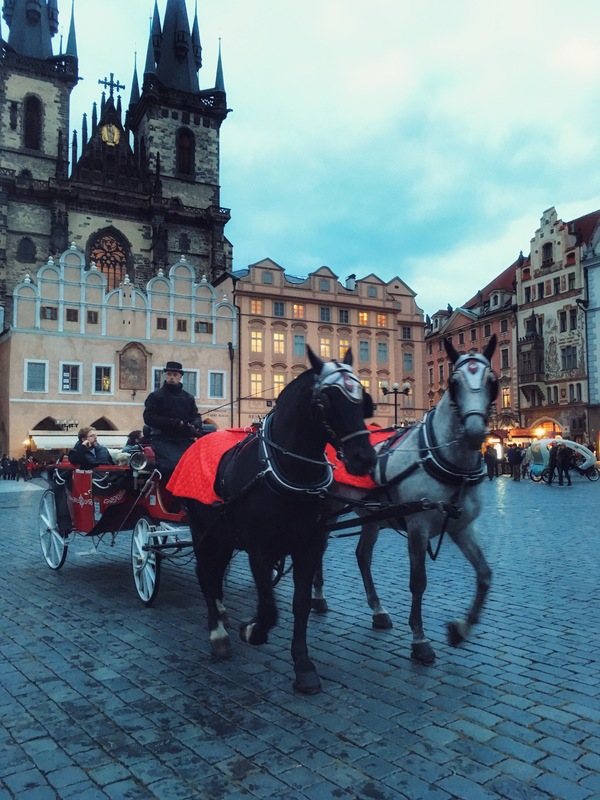 i grew up watching hollywood movies shot in prague and since i was a kid, this whimsical city had been on my bucket list. i’m fortunate and deeply blessed to have planned a short trip here last fall and i know that the next time i do visit, prague castle and st. vitus cathedral will be at the top of my list. this city is diverse, people are warm and the food and beer here are super affordable. 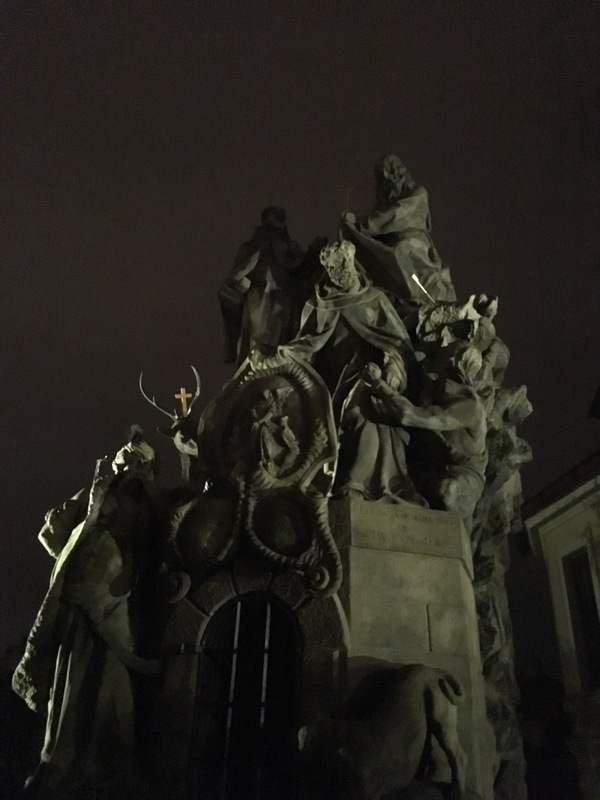 i spent a lot of time walking around charles bridge and also made a wish to st. john’s of nepomuk statue (read up on this statue, people actually take this superstition seriously). on my last night there, i watched the sunset standing next to carolo quarto statue while the prague castle lit up. my happiness knew no bounds at the view and i also had an opportunity to shoot some nighttime photography. 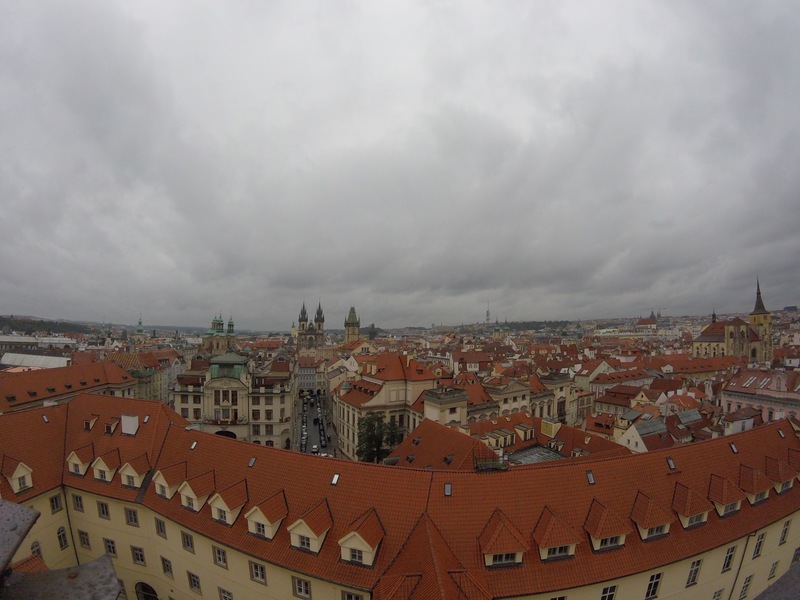 prague will always hold captive the strings of my heart and one day soon, i hope to return.